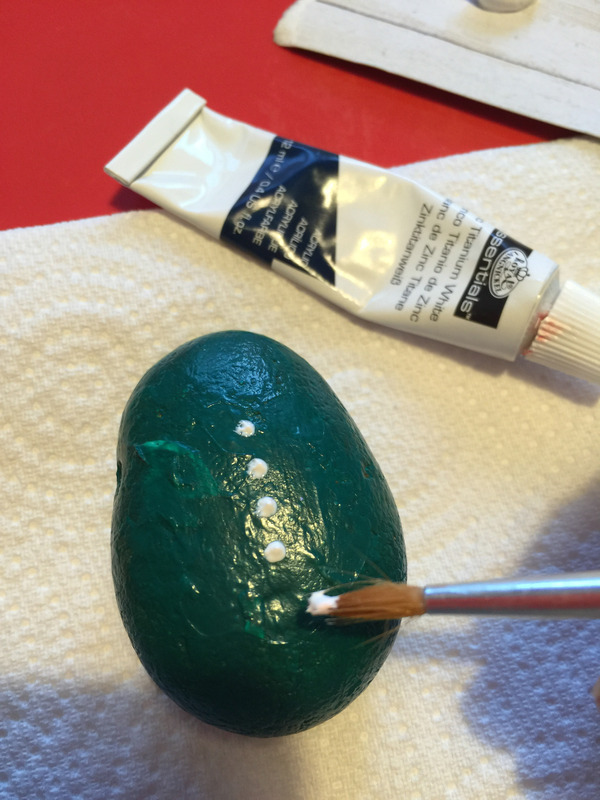 I’ve been having lots of fun crafting recently, I know I always say that but this is supposed to be a craft blog. I love looking through my photo stream and seeing the photos of all my makes. 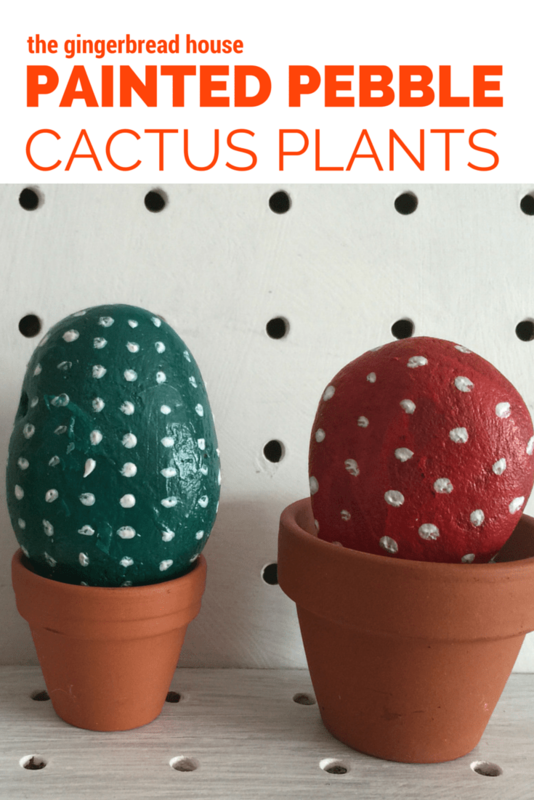 My children have been keeping me busy lately but I still found time to make some painted pebble cactus plants with them. I would love to keep some succulents but when I went to buy some I got a handful of needles. Instead I thought it would be fun to make some kid-friendly versions. 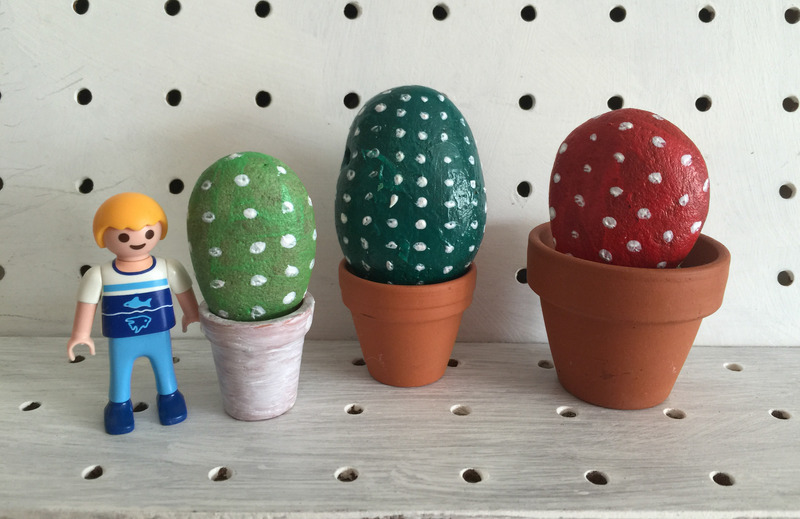 My 5 year old helped me paint some pebbles to make some kid-friendly cactus plants. 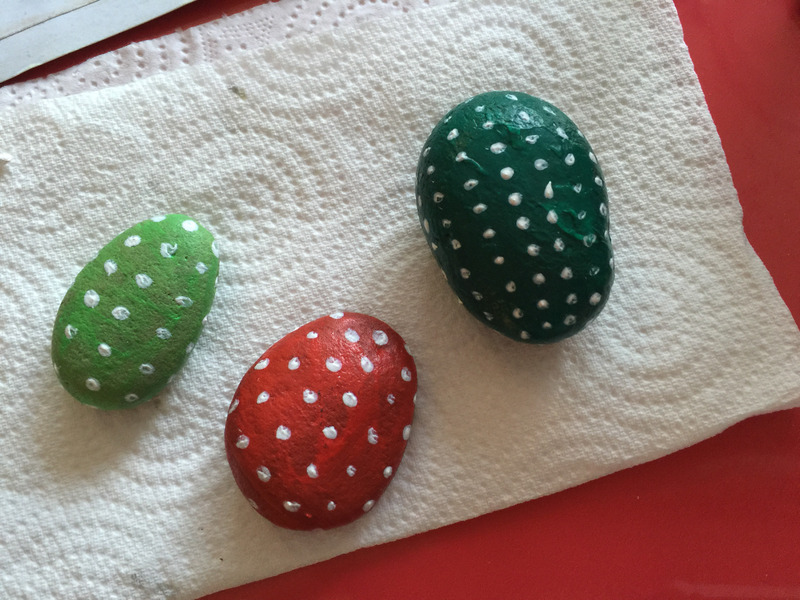 We collected some lovely smooth pebbles on a recent beach holiday and this was a really fun activity. I think they will also be a great addition to our fairy garden. 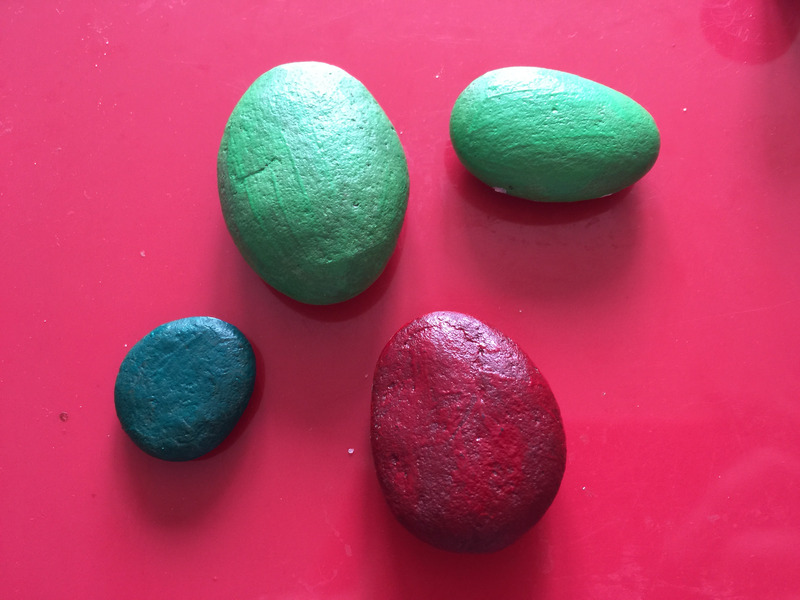 We used some lovely smooth pebbles we collected from the beach and painted them red and green with acrylic paint. We gave them two coats to make sure we couldn’t see any of the original colour, then added some tiny white spots of paint to look like spines. This was quite tricky for my 5 year old but he did a great job. Then we left them to dry before painting the other side. 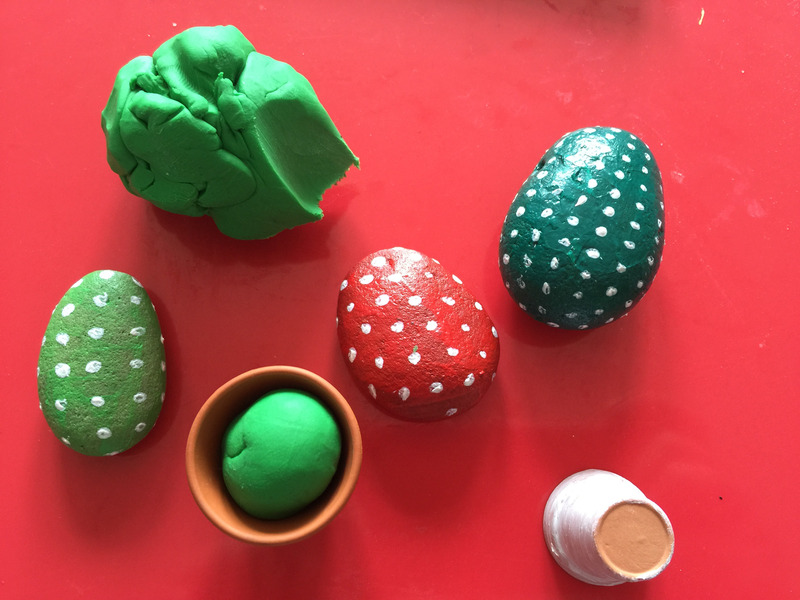 Once they were dry we found some miniature pots, added a ball of plasticine and pressed the pebbles in. Then we mixed it up by placing them in one pot. I think they look pretty realistic and not bad for a joint effort. I love succulents and am still hankering for some real ones. Perhaps I will try to make some felt ones soon. Oh they look so cute! These are so pretty! Thanks so much for sharing with this week’s #pinitparty. I have pinned. These are so sweet and far less spiky than their real counterparts! 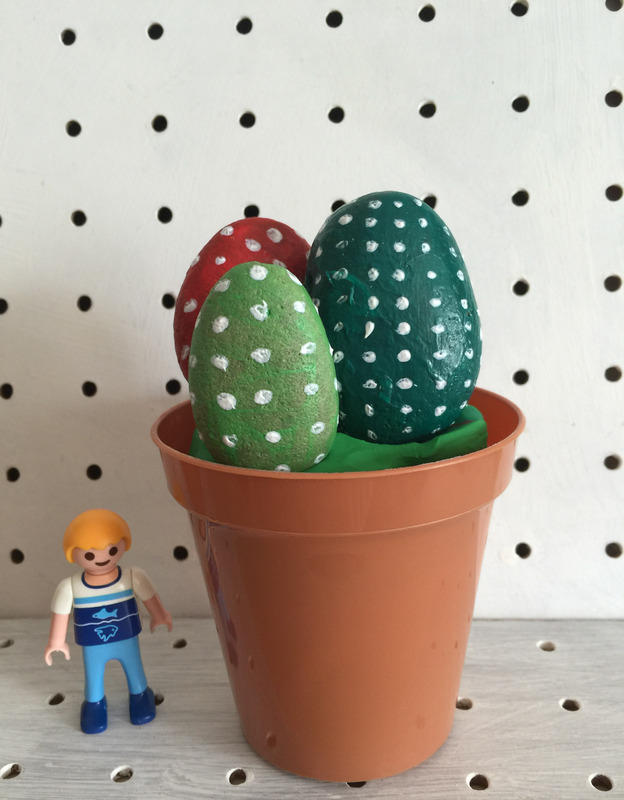 Thanks, we love succulents but they’re definitely not child-friendly!